Take the scenic route this autumn and enjoy dappled shades of deep red, orange, gold, tan, sage green, and brown. 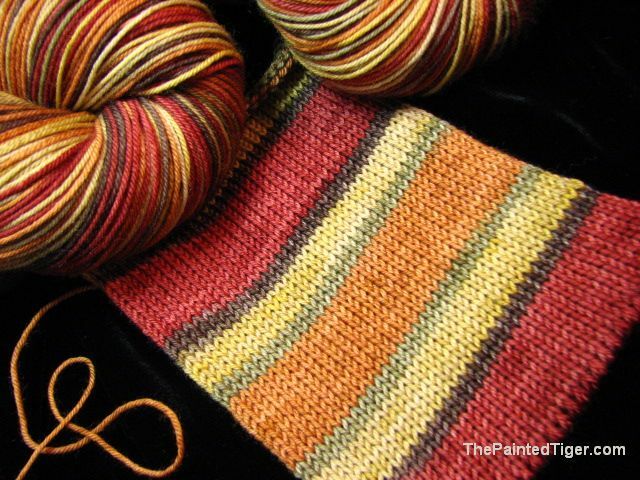 This yarn is self-striping, for fun and easy results, but also won't hide more complicated stitch patterns. 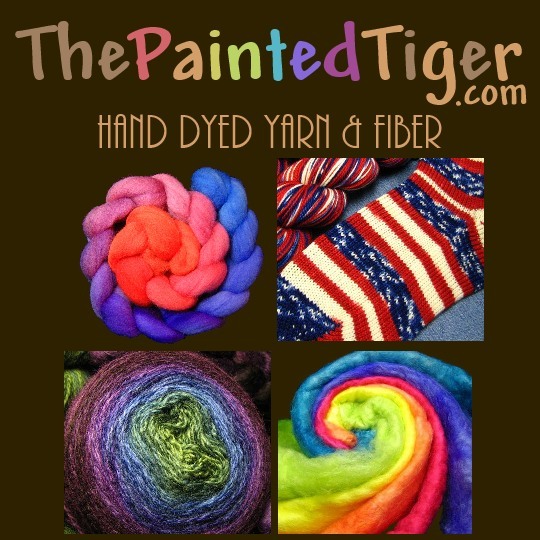 Hand dyed with Lanaset Professional dyes for brilliant and long lasting color. Hand or machine wash cool with wool appropriate detergent or shampoo, dry flat. The sample is a tube knit with 64 stitches.